Category Archives: Pulla Bread with egg! What you mean to me – Aatos Beck! Wat je bent voor mij – Aatos Beck! Find me Jenny – Aatos Beck! Bolognese potatoes – Bolognese perunoitten kanssa! Broccoli Fish Fillet with Mixed vegetables by Aatos Beck © 03-09-2013. Broken Green (Cayenne) Beans Mashed (Mint) Potato with Fish-sticks! Broken Green Beans Mashed Potato with Fish-sticks! Brunsummerheide – Visvijver de Koffiepoel! Burning like a tree – Aatos Beck! Care about yourself – Aatos Beck! Cayenne & sambal by Aatos Beck © 16-07-2013. Chicken in a frying pan with spices / nutmeg – butter potatoes Paistin pannulla kana mausteilla / muskotti – voi perunoilla Kip in een koekenpan met kruiden / nootmuskaat – Boter aardappelen! Chilli Chicken Drum-stick's with Onion Rice! Chinese Cabbage wiener potato puree! Combinated (double cayenne cheese) Hamburger / Hot Dog! Crinkle cut fries with drumsticks! Crinkle veggies with Chicken fillet! Curry & Cayenne on rye bread by Aatos Beck © 04-09-2013. Curry Riisi Vihannes sekoitus kana kuutioilla! 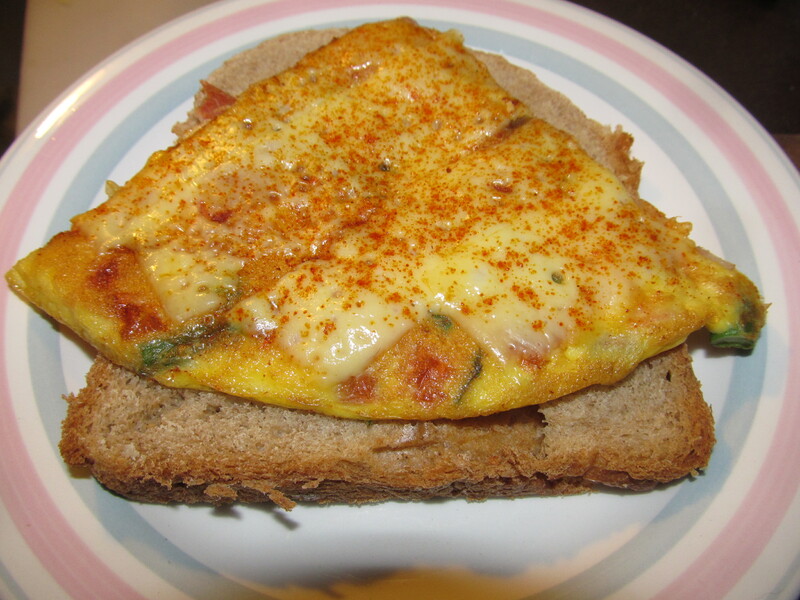 Eggs with old cheese Salami Curry & Cayenne on rye bread by Aatos Beck © 04-09-2013. Filling omelette to start the day! First colours of Autumn by Aatos Beck © 09-09-2013. Fusilli Makkara kastikkeella – Fusilli with Sausage sauce! Green beans onions with chicken Filée – Vihreitä papuja sipulia kanaa filettä – Sperziebonen uien met kip filee! Green Beans with hot frikandel! I love you for being You – Aatos Beck! Kesäisen olon Voileipäkakku – Summer feeling Bread tart – gevoel van de zomer Brood taart! Koolvis met Balkan gemengde groenten – Saithe with Balkan mixed vegetables! Lentil Soup Sweet Chilli Soy sauce topped with a spoonful of mint sauce! Light up the Sky – Aatos Beck! Lihapiirakka – Meat pie – Vleespastei (FIN)! Lita Ford – Close My eyes Forever (ft. Ozzy Osbourne)! Macaroni Smoked sausage Vegetable Oven-dish! Macaroni with sausage sauce – Makaroni makkara kastikkeella! Maksa (liver) laatikkoa (oven-dish) "preparing for Christmas"! Mausteinen Valkosipuli kananfilee vihannesten kanssa 2! Onion small potatoes with Salmon garlic fish-sticks oven dish by Aatos Beck © 20-08-2013. Parsakaali Kalafilee Kasviksien kanssa by Aatos Beck © 09.03.2013. Pohjoisen Etelän Matka – Aatos Beck! She was the One – Aatos Beck! Sinappi Nakki Pytty-pannu – Mustard Sausage pot-pot! Slavinken Nutmeg mashed (pea) potatoes! Son of Neptune – Aatos Beck! Spaghetti with Chicken Tomato Sauce! Spicy Garlic Chicken Fillet with Vegetables 2! Spicy Garlic Chicken Fillet with Vegetables! Tonijn Bolognese met spaghetti en extra kaas / tri-colore room ijs met bosvruchten yoghurt! Tuna Spaghetti Bolognese with extra cheese / tri-colore ice cream with berries yogurt! Vegetable curry with rice mix with chicken cubes – Curry Riisi Vihannes sekoitus kana kuutioilla! Vegetable curry with rice mix with chicken cubes!